The High Court has today ruled that Campaign Against Arms Trade (CAAT), represented by human rights lawyers Leigh Day, can bring a judicial review against the Secretary of State for Business, Innovation & Skills’ decision to continue arms exports to Saudi Arabia. The arms sales came despite serious allegations and compelling evidence that there is a clear risk Saudi forces might use the equipment to violate international humanitarian law (IHL) in their ongoing bombardment of Yemen. Over 6000 people have been killed in a bombing campaign that has created a humanitarian catastrophe; destroying vital infrastructure and leaving 80% of the population in need of aid. Despite this, the UK has continued to arm the Saudi regime, with over £2.8 billion worth of arms having been licensed since the bombing began last March, including licences for bombs and air-to-surface rocket components and a £1.7 billion licence for combat aircraft. A failure to adhere to the principle of distinction and/or the targeting of civilians and civilian objects and those not directly participating in hostilities. The destruction of Cultural Property and/or a failure to adhere to the immunity to be afforded to such property during armed conflict. This is a historic decision and we welcome the fact that arms exports to Saudi Arabia will be given the full scrutiny of a legal review, but they should never have been allowed in the first place. The fact that UK aircraft and bombs are being used against Yemen is a terrible sign of how broken the arms export control system is. For too long government has focused on maximising and promoting arms sales, rather than on the human rights of those they are used against. Successive governments have pulled out all stops to keep the arms deals flowing. Recent years have seen Tony Blair intervening to stop a corruption investigation into arms exports to Saudi, David Cameron flying out to to Riyadh meet Saudi Royalty, and Prince Charles sword dancing to secure sales for BAE Systems. 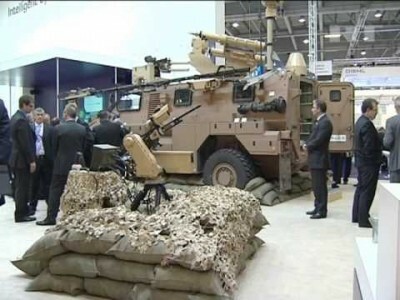 The claim, which will now progress to Judicial Review, calls on the Secretary of State for Business, Innovation & Skills to suspend all extant licences and stop issuing further arms export licences to Saudi Arabia for use in Yemen while he holds a full review into if the exports are compatible with UK and EU legislation. The arms export controls do not work, but how can they when the government is actively promoting arms sales and working hand in glove with regimes like Saudi Arabia? The Saudi Royal Family’s influence is imprinted all over Whitehall’s approach to arms sales and the Middle East. If the government cares for the human rights of those in Saudi Arabia, Yemen or the wider region then it must end its support for the Saudi military and its complicity in Saudi state violence. It is crucial that the courts consider whether the ongoing sales of arms from the UK to Saudi Arabia is unlawful. The overwhelming evidence from those who are, or have been, working on the ground in Yemen is that the Saudi coalition is acting in breach of international law, killing thousands of people and destroying vital infrastructure. To continue to grant licences in such circumstances, is unlawful. We hope the Court will now intervene in this matter and order the government to reconsider without further delay.